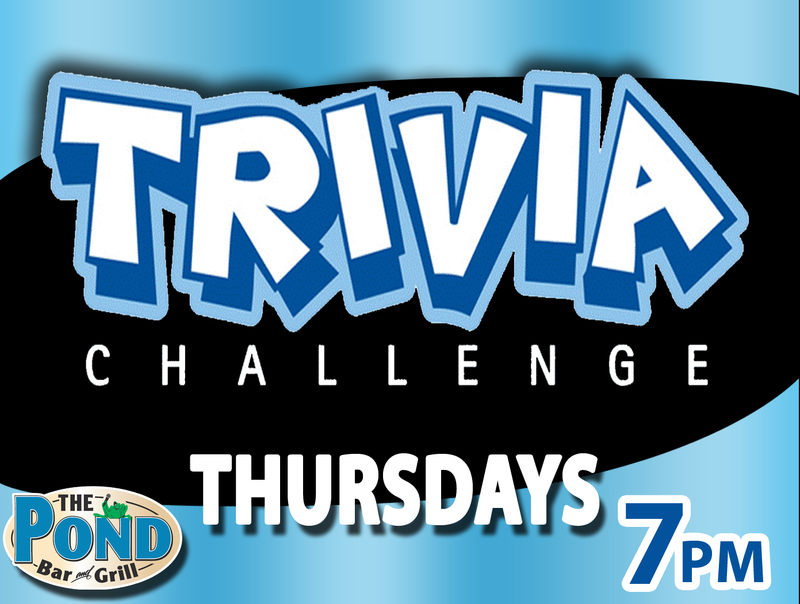 The Pond has hosted Thursday Trivia Challenge for more than a decade, resulting in a database of thousands of questions. We try to keep our Trivia fresh, fun and a bit irreverent. The game begins at 7pm and we encourage teams to come in early for dinner and our HALF PRICE WINE by the bottle special. Mini-Jump Ahead, one question having two or three correct answers, each correct answer typically worth 5 points. Example, provide the first name of each of the original three stooges. General Fast Action, an action round of five questions asked consecutively, team has three minutes to answer all five questions. Two points for each correct answer, 5 bonus points if all five answers are correct. JUMP Ahead, one question typically requiring a list of five or six answers, each answer worth 7 points. Example: name each state beginning with the letter M.
PUT IN ORDER or MATCH. A question with four to six answers, each correct answer worth 10 points. Examples: Put these Presidents in order of their birth. Or, match the Presidents to their Vice Presidents. GAME BONUS Question. This is the only question in which you can bet all the points the team has earned and the only question where you lose points for answering incorrectly. PRIZES (in the form of Pond Prize Coupon for food or Pond merchandise). The game usually lasts 90 minutes.